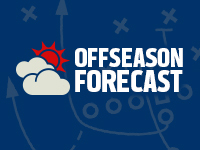 Published: Feb. 16, 2013 at 03:53 p.m.
With the offseason officially underway, Around the League will examine what's next for all 32 teams. The series continues with the Dallas Cowboys. 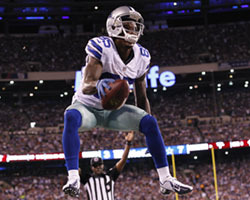 Take a look at the best photos from the 2012 Dallas Cowboys season. Say what you will about Jerry Jones, but the Dallas Cowboys owner didn't lie when he promised it would get "very uncomfortable" at Valley Ranch after a second straight 8-8 season. Rob Ryan was sent packing as defensive coordinator and replaced by 72-year-old Monte Kiffin, who will switch the Cowboys to a 4-3 scheme. Offensive coordinator Bill Callahan likely will inherit play-calling duties from coach Jason Garrett, who might still be in denial. Running backs coach Skip Peete was fired and replaced by Gary Brown. » OLB/DE Anthony Spencer: With Kiffin moving to a 4-3, the Cowboys need another strong presence on the edge opposite DeMarcus Ware. Cowboys executive vice president Stephen Jones has great respect for Spencer, and the team has the option of using the franchise tag. » RB Felix Jones: A former first-round pick, Jones had a shot at Dallas redemption when DeMarco Murray went down for six games with a foot injury. Jones (playing on two bad knees) couldn't fill the void, one reason why the Cowboys set a franchise low for rushing yards in a 16-game season. » CB Mike Jenkins: The additions of Brandon Carr and Morris Claiborne put Jenkins in limbo last season, and a slow recovery from shoulder surgery didn't help. He worked in the slot after Orlando Scandrick went down, making little impact. He's expected to look for a starting job on the open market. Other key free agents: C Phil Costa (signed two-year contract), SS Danny McCray, WR Kevin Ogletree. The Cowboys are overdue for a makeover along their offensive line. It was a problem all season, and quarterback Tony Romo's mobility is the only thing that kept this unit from total embarrassment. Tyron Smith is a good fit at left tackle, but upgrades should be sought elsewhere. If Jones has run out of chances, the Cowboys would be wise to find a capable backup for Murray, a supremely talented but seemingly injury-prone starter. The Cowboys must protect themselves at strong safety, where Barry Church is attempting to come back from a torn Achilles tendon. The Cowboys open the offseason $20 million over the cap and needed to restructure contracts with several players to get under. With that in mind, don't expect a big fish to land in Big D. Improving the offensive and defensive line likely will be a focus during the NFL Draft. With Romo turning 33 before Week 1, don't be surprised if the Cowboys draft a developmental quarterback in the mid-to-late rounds.